It seems simple to define what a PJI is. The problem is that definitions vary depending on the author involved. 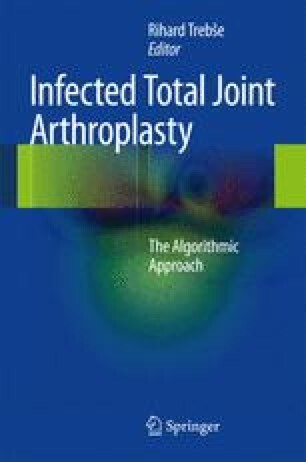 It has become accepted that the PJI diagnosis is confirmed when there is purulence around the joint, there is a communication between the skin and the implant, and when causative agent(s) are isolated in multiple samples. In this chapter each of these criteria is discussed in some detail to help in diagnosing PJI as unambiguously as possible.